Join us for our first "How Tuesday" event! 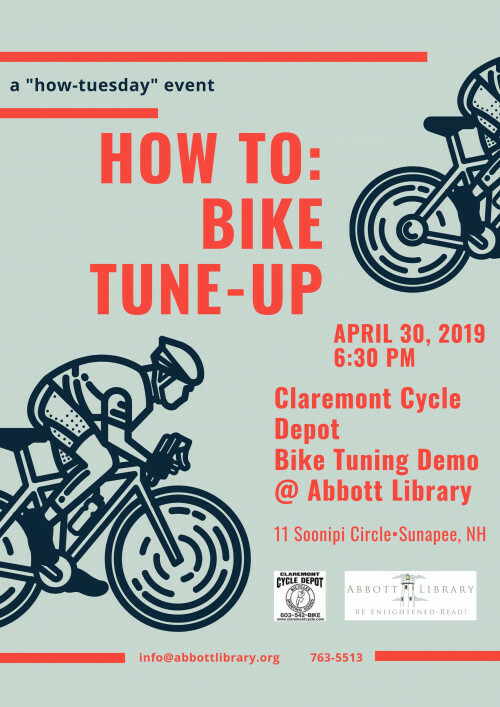 Claremont Cycle Depot will do a bicycle tuning demo in time for spring and summer riding. Stay posted for more "How Tuesday" events happening each month at Abbott Library.